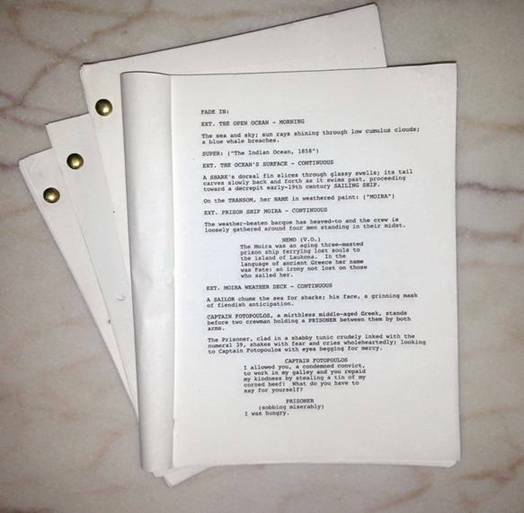 On June 12, 2015, I copyrighted two 2-part screenplays based on my 2013 novel, VULCANIUM: one is a direct treatment suitable for general distribution; the other, an adaptation intended for Disney. Respectively titled Vulcanium and Vulcania, both screenplays are divided into parts one and two (The Origin and The Voyage) to tell the story of who Captain Nemo and his crew were, how and why they built the Nautilus, and how an amicable inventor became a ship sinking monster in the eyes of the world. On February 25, 2016, Disney announced their intentions to film a prequel to 20,000 Leagues Under the Sea, which is exactly what Vulcanium is. We at Vulcania Submarine are hoping this renewed interest in 20,000 Leagues prequels might lead to our screenplays finding their way to the silver screen some day. Vulcanium: The Origin, page 1 of 109.